The story continues, with our hero -Nick - traveling to his college. 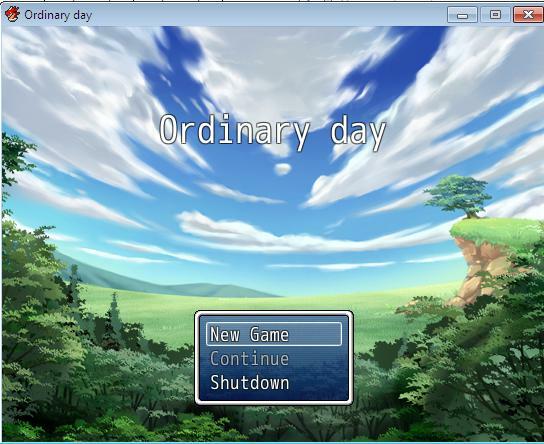 This prologue is made to demonstrate how my second game: "Ordinary day 2" will look like. And what new features will it use? Hello all. I decided to give my latest version of the game (0.3) for free release. Before you download it, please read the short text below. I just want to say what will happen for future of this project. Because I'm no longer the 20-something year old guy with an unlimited amount of time and my free time is getting shorter and shorter. I will need to make some changes. 1/ Bug with cleaning stuff in main characters room. 2/ Bug when Main character stuck in ventilation. Over the last 5 months, here on patreon, I kept losing patreons, month by month, and new ones didn't come. I don't know If I'm doing something wrong, and if I am, nobody has mentioned it to me. So my decision is: I am giving this project two months of work. I will be working on new updates, and then after that I will make a final decision depending on my actual situation and if the project is bringing backers. My goal was always get about 100 patreons. The most I had was 80, now it's 41 (really sad). I want to say a Big thanks to you guys continuing to support me for a long time. You guys are one of the reasons why I was doing this game so long. I would also like for past supporters to play the recent update, and give me their thoughts and mainly what made them leave and what I can be doing to improve. So here is actual up to date version of Ordinary day 2 for everybody. Enjoy it! And If you have something to say about game or anything else, let me know through a message or comment. Gameplay lenght is about 1 hour 20 minutes. Longest animation has 30 seconds and has 440 frames on one shot. Game contains 10 female characters. So you can pick your favorite.